> The Wizard of Oz comes to life in this first of its kind adventure game! Join Dorothy and her friends on a magical journey! > Complete multiple levels and fun-filled activities as you help Tin Man, Lion, and Scarecrow! > Enter a wood chopping contest and avoid being hit by the cyclone! Oh no, a cyclone has hit Kansas and carried Dorothy and Toto away! Are you ready to journey down the yellow brick road to help them get back home? Before taking off, make sure Dorothy is ready for the adventure. Clean Dorothy’s dress, dress up Toto and get going! Dorothy and Toto meet friends who need your help along the way! 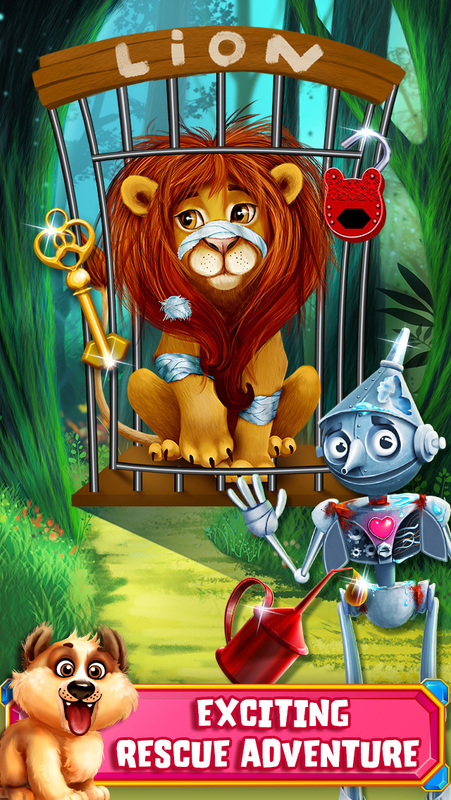 Play hidden objects games to collect items for Tin Man, Lion, and Scarecrow! Use special tools like an oil can and sewing kit to help them prepare for their journey to Emerald City. Earn stars and advance to new levels as you successfully complete each treatment! 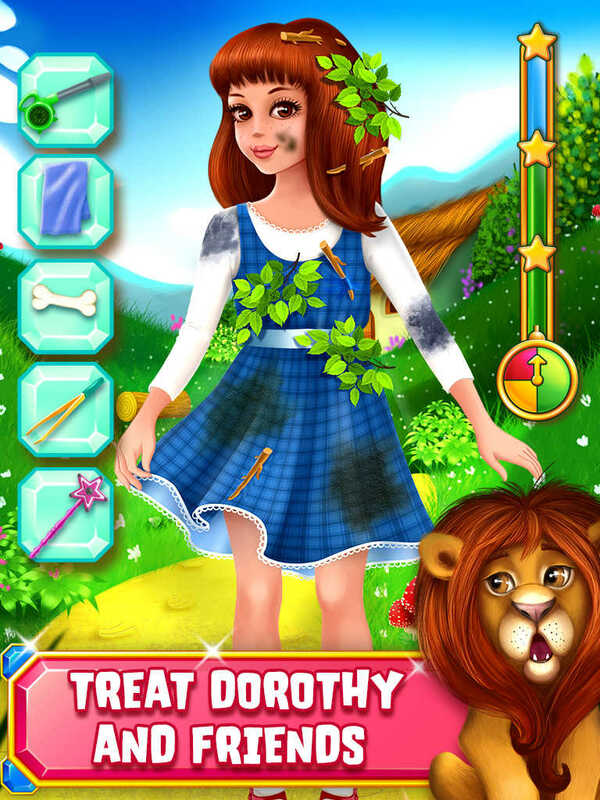 Play mini-games with Dorothy and friends! Enter a wood chopping contest with the munchkins and collect hay for Scarecrow as fast as you can! 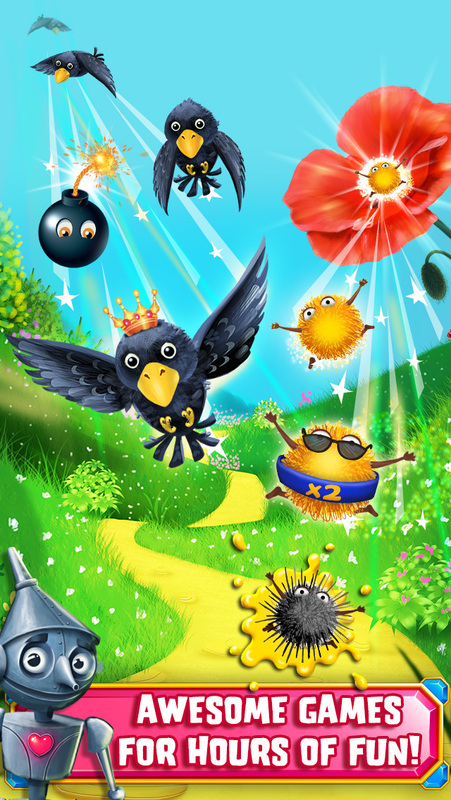 Tap birds to chase them away and avoid poppies that will make you fall asleep! > Earn stars for each completed activity! > Tap to select different tools to treat Dorothy and friends! 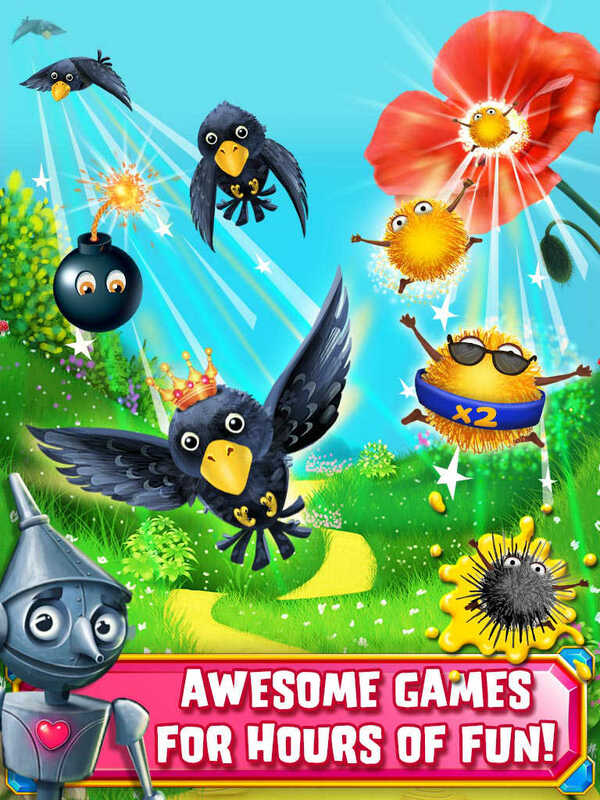 > Play fun mini games like hidden objects, wood chopping contests & catching poppies! > Journey through multiple different levels by completing each challenge on the yellow brick road! > Enjoy 12 challenging stages! > 29 fun-filled and interactive activities like doctor scenes, wood chopping contest & more! > 26 tools to treat Dorothy and friends! > Meet adorable friends along your journey: Dorothy and Toto, Tin Man, Lion, Scarecrow, The Wizard of Oz and the munchkins!